Wednesday, Jul 22, 2009 How many Gitmo prisoners return to fight? 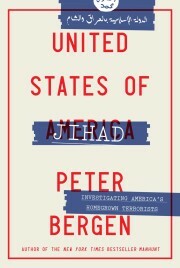 Editor’s note: Peter Bergen, CNN’s national security analyst, is a fellow at the New America Foundation, a Washington-based think tank that promotes innovative thought from across the ideological spectrum,and at New York University’s Center on Law and Security. He’s the author of “The Osama bin Laden I Know: An Oral History of al Qaeda’s Leader.” Katherine Tiedemann is a policy analyst at the New America Foundation. T hroughout his campaign last year, President Barack Obama said repeatedly that the real central front of the war against terrorists was on the Afghanistan-Pakistan border. And now he is living up to his campaign promise to roll back the Taliban and al-Qaeda with significant resources. By the end of the year there will be some 70,000 American soldiers in Afghanistan, and the Obama administration is pushing for billions of dollars in additional aid to both Afghanistan and Pakistan. ABDULLAH GHULAM RASOUL and Said Ali al-Shihri may be the two best arguments fo r why releasing detainees from Guantanamo Bay poses a real risk to America. Mr. Rasoul, who was transferred to Afghanistan in 2007 and then released by the Kabul government, is now the commander of operations for the Taliban in southern Afghanistan. Mr. Shihri, sent back to his native Saudi Arabia in 2007, is now a leader of Al Qaeda’s affiliate in Yemen. This experiment almost certainly occurred at the Derunta training camp near the eastern Afghan city of Jalalabad, conducted by an Egyptian with the nom de jihad of “Abu Khabab.” In the late 1990s, under the direction of Al Qaeda’s number two, Ayman Al Zawahiri, Abu Khabab set up the terrorist group’s WMD research program, which was given the innocuous codename “Yogurt.” Abu Khabab taught hundreds of militants how to deploy poisonous chemicals, such as ricin and cyanide gas. The Egyptian WMD expert also explored the possible uses of radioactive materials, writing in a 200120memo to his superiors, “As you instructed us you will find attached a summary of the discharges from a traditional nuclear reactor, among which are radioactive elements that could be used for military operations.” In the memo, Abu Khabab asked i f it were possible to get more information about the matter “from our Pakistani friends who have great experience in this sphere.” This was likely a reference to the retired Pakistani senior nuclear scientists who were meeting then with Osama bin Laden. WASHINGTON (CNN) — Afghan President Hamid Karzai discussed his sometimes-turbulent relationship with the United States on Friday as more details emerged about U.S. airstrikes in his country that killed dozens of people this week. (CNN) — Afghan President Hamid Karzai travels to Washington this week to meet with President Obama and with his Pakistani counterpart Asif Zardari. There will be much to discuss — principally, of course, how to reverse the rising tide of Talibanization on both sides of the Afghan/Pakistan border, which is a key foreign policy challenge for the Obama administration. The militants said they took control of the Buner district to ensure that Islamic law, or sharia, is properly imposed. The Pakistani government called the advance into Buner a breach of a recently signed peace agreement. AS President Obama orders an additional 21,000 troops to Afghanistan, he faces growing skepticism over the United States’ prospects there. Critics of the troop buildup often point out that Afghanistan has long been the “graveyard of empires.” In 1842, the British lost a nasty war that ended when fierce tribesmen notoriously destroyed an army of thousands retreating from Kabul. And, of course, the Soviets spent almost a decade waging war in Afghanistan, only to give up ignominiously in 1989.